If you have ever heard of Patrick & Eugene, YouTube This piece is a similar style. Those boys are a pretty hard act to follow, but I will give it the old college try. Anyway, this was done entirely with BIAB, only my lead vocal and one backup vocal part are "real" for lack of a better word. The female backup vocal is the harmonizer in RealBand. It's funny, when I am on tour with Acoustic Smoke, I use the TC Hellicon's voicelive touch 2 to create on the fly backup vocals during the concert. It's the same algorithm BIAB has programmed by the same company. "Suzie," As I have taken to calling her is great. 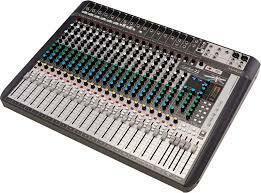 I use the very same sound on stage as I do in the studio. I started using the harmonizer on stage because my wife won't let me travel with a female backup singer. I guess I don't blame her. Watching people search the stage frantically looking for that backup voice is pretty funny! Anyway, rabbit trail. I Love Me, is 6/4 time so getting all the vocals lined up was an enormous pain. Turns out I was suffering with lots of latency, had to make the change to ASIO drivers. Then, I ran the vocals through Melodyne to tighten up the timing. A big shout out to GuitarHacker for turning me on to Melodyne. It saved my skin on this one. It's in Gb, it was in Ab where I write most stuff, but the soaring vocals at the end were really harsh in Ab so I changed keys. This wasn't really done with any style, the instruments are all hand picked. Largely this is because there is a real dearth of Ukulele Real Tracks in BIAB and they are ALL swing beat. As I knew it was the primary instrument I had to build around it. But . . a nice 50's style five piece drum kit in swing with lots of brush backed up by a cool dude slappin' down the law with an upright bass and we were off and running. Throw in a vintage electric organ for color and we're the Sultans of Swing. Now I have to go convince my friends and family the song wasn't written about any of them. My mother tells me it's nerve wracking always knowing what I'm thinking when I put out these songs. That's an unusual tune. You're right, wouldn't be the same without the ukulele track. Yes, it's a little odd, but it's the sort of thing commercials use quite a bit. They call it "Quirky" whatever that means. This is a great tune, and I hope it will get you there! Hi Joe, I really loved this one. First, I think sparseness in a song in most cases requires more depth in writing, mixing and production. Little things have a bigger footprint with the added quiet space that sparseness brings. Second, the beauty is in the details. The tone of the vocals (which really shine on this one), the clarity of the instruments all become vital elements to the vibe. Last, egotistically, this one fits me to a T... Self preservation. If I don't love me, why should anyone else? This was a fun song but provided ample depth to the careful listener.